Wondering how long Facebook keeps the photos that you “DELETED” from your Facebook photo albums and profile photos sections? If you ask Nitrozac and Snaggy from The Joy of Tech, they’ll say Forever & Ever & Ever. 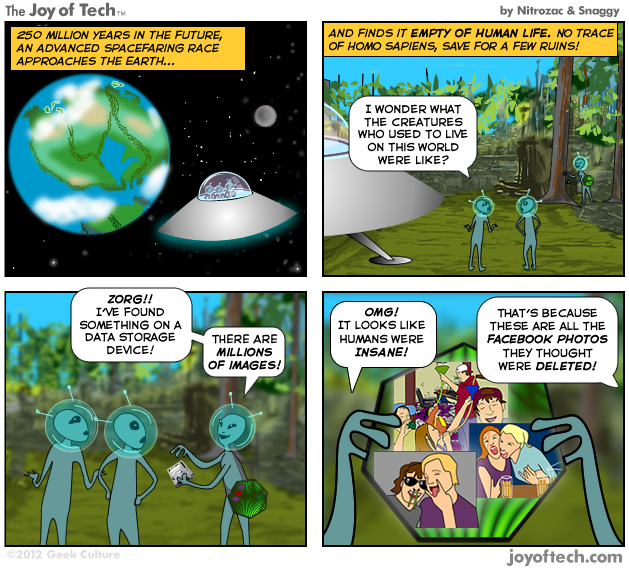 Or until Aliens finally come to Earth and discover the Facebook Data Center!